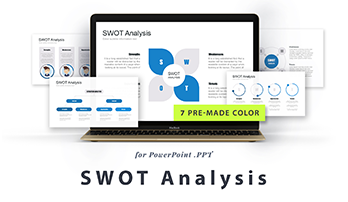 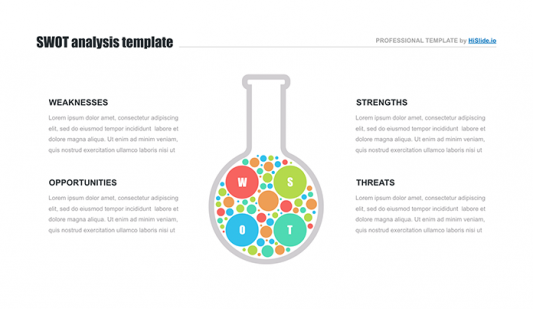 SWOT analysis .PPT for PowerPoint - Download Now! 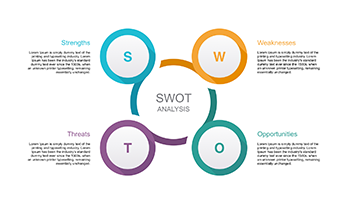 SWOT analysis is a versatile and quite simple tool that is widely used not only in business, but also in life. 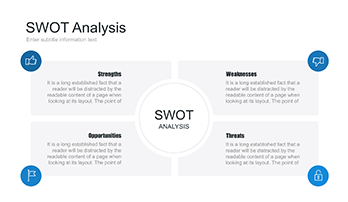 The analysis can be applied either on its own or in combination with other business and marketing tools. 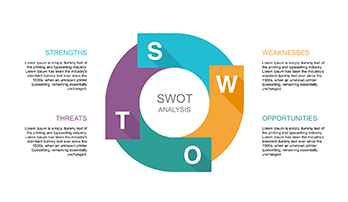 Thus, the slides from our SWOT analysis PowerPoint Template section found wide application in management and marketing. 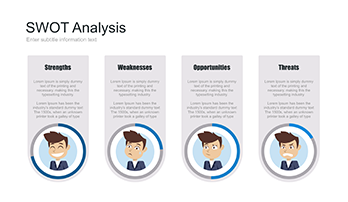 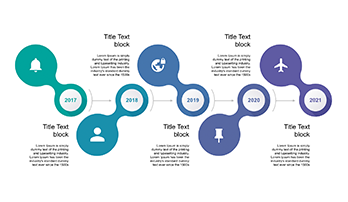 With these ready-made templates, any entrepreneur or company can effectively plan a strategy for its further activities. 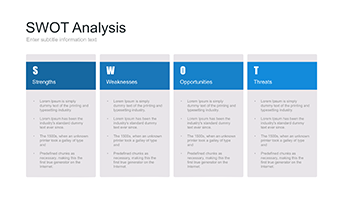 Make the analysis of your competitors, structure and evaluate obtained information. 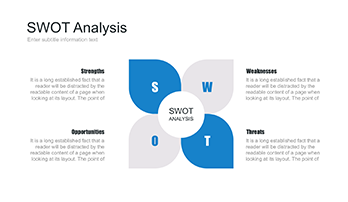 Plan the steps to implement the important directions of your business strategy. 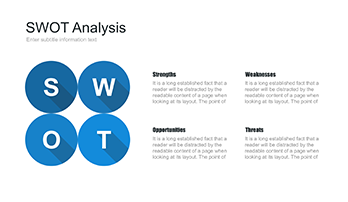 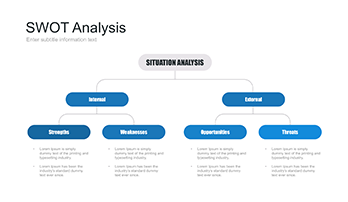 Conduct a complete analysis of your company, our weak and strong points. 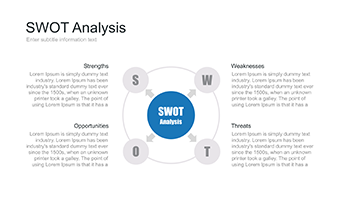 Visualize obtained data and information. 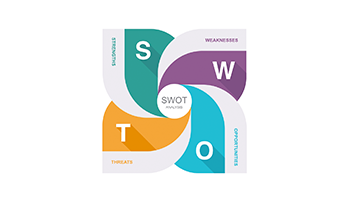 SWOT analysis is used in life and business to determine the strengths and weaknesses of a company or a person. 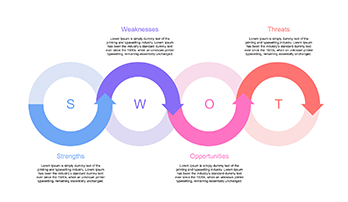 Based on the information received, you can build an effective strategy for business development, personal or professional growth. 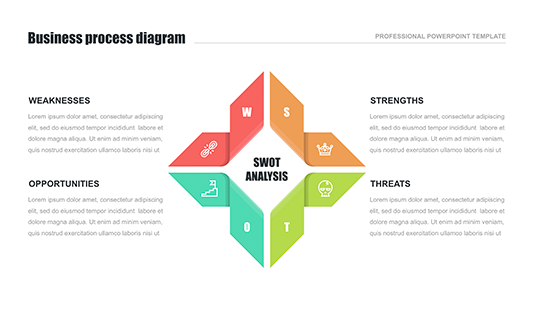 And our slides that can be found here will help you to do it more efficiently.